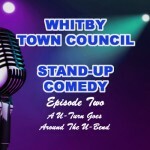 – an “In My View” article by NIGEL WARD, reporting on the escalating meltdown (and coming flare-up) at Whitby Town (Parish) Council. For those who have not followed this extraordinary descent into the maelstrom, a very brief synopsis follows. The Council has not rebutted any element of any of the foregoing articles. 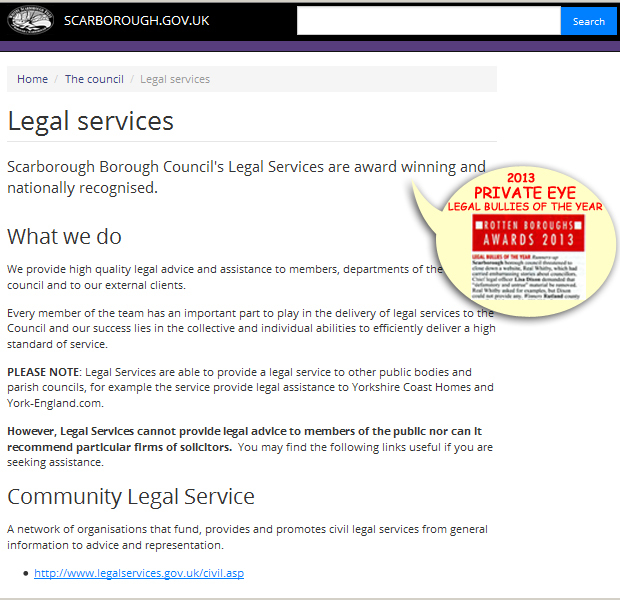 On discovery (in July 2014) by the Town Clerk that her actions in removing digital data from the Council Offices without authorisation, in mid-autumn 2013, had been disclosed here on the North Yorks Enquirer, the Town Clerk lodged a formal Grievance (and reported her complaints to the North Yorkshire Police and SBC Standards Committee) against those members of the Finance, Policy & General Purposes Committee (FP&GP) who had attended a public Meeting on 17th June 2014 – in the mistaken belief that it was following that public Meeting that certain unidentified Councillors had ‘leaked’ information to me – and, in so doing, had placed the Clerk at risk of attack by unscrupulous data thieves. Deputy Mayor Sean RIXHAM-SMITH was not present at the FP&GP Meeting on 17th June 2014 and was not included in the Clerk’s allegations. There is no evidence to support the Clerk’s allegations. No investigation has been conducted. The Clerk has been informed, on a number of occasions, that the information reached me, via four Councillors, not in June 2014, but in the autumn of 2013. 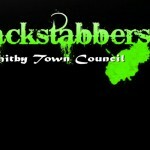 This has been confirmed to the Clerk by a serving Councillor. By mid-November, knowledge of the Clerk’s unauthorised data removal had been discussed openly by the relatively small number of residents who take any interest in the activities of the Council, one of whom was Derek ROBINSON, who was subsequently elected to the Council in spring 2014 – two months before the Meeting at which the Clerk alleges that the matter was discussed and subsequently ‘leaked’. Nevertheless, Councillor Derek ROBINSON was included by the Clerk in her Grievance/Standards/Police Complaints against all the Members of the FP&GP Committee (except the Deputy Mayor, who did not attend the Meeting in question), in disregard of the fact that he was a member of the public at the time and free to discuss the situation with whomsoever he wished. In due course, the Human Resources Committee (HR), Chaired by Councillor Noreen (“You can shove your camera up your arse!”) WILSON, saw fit to UPHOLD the Clerk’s Grievances, thereby in effect pronouncing all the Members of the FP&GP Committee ‘guilty’ (except, of course, the Deputy Mayor) of the ‘offence’ of relating to electors matters discussed at a public Meeting – obviously, not an ‘offence’ at all. Astonishingly, at the Meeting of Full Council on 4th November 2014, those Councillors present chose to ignore the facts and voted unanimously to Receive the Recommendation of HR, which will be ratified as evidence in law – even though the Clerk’s allegations are entirely without foundation, have never been investigated and stand utterly discredited. For reasons beyond the wit of man, the Clerk included Councillor Derek ROBINSON in her allegations, even though he was not a Councillor at the time of the so-called ‘leak’ and had not attended any of the autumn 2013 Meetings. The Clerk, the HR Committee, and now the whole Council, has collectively sullied the reputation of an entirely innocent man. Please do not tell me that it may be something to do with his political convictions. Needless to say, the show ain’t over. The Council remains more divided than ever and recriminations (and insults) are being bandied around like promises before an election. At the most recent FP&GP Meeting (on Tuesday 18th November 2014), speculation regarding the identities of the (still un-named) four Councillors who allegedly ‘leaked’ the Town Clerk’s secret moved closer to outright insults. It is important to recognise that any risk to the data or to the Town Clerk (if there actually was any risk, which is highly doubtfully, given that data thieves are seldom to be seen skulking amongst the bushes surrounding the Pannett Art Gallery car park) was brought about by the Town Clerk’s own unauthorised actions – and not by Councillors’ expression of concerns over her actions, or the publication of those concerns in the public domain – nine months later, when those pesky data thieves had missed the boat. Conversely, the public has an entirely legitimate interest in knowing whether or not data (which may include the protected personal data of private individuals) is handled lawfully and responsibly by the Town Clerk – especially as the Town Clerk has admitted that it was not, and that she was not even enrolled as a Registered Data Controller with the Information Commissioner until I tipped her off. Opinions within the Council remain deeply divided. Some Councillors are expressing the view that they will not feel able to stand for re-election to the Council in May 2015 unless the Grievance affair is allowed to rest. They presumably think that Councillor Derek ROBINSON should simply grin and bear the defamation. Others feel, like me, that Councillor Derek ROBINSON has been very shabbily treated by the Town Clerk, the HR Committee and the Full Council – especially as he was away on holiday when the HR Recommendation was Received by Full Council. Prompted by the Clerk, Mayor Heather COUGHLAN unlawfully ruled that Councillor Derek ROBINSON’s letter to all Councillors could not, under the Council’s Standing Orders, be read out to the Councillors during the public participation session – when Standing Orders are, in fact, suspended specifically to allow members of the public to speak freely. On what basis the Mayor imagines that she can invoke the requirements of Standing Orders while they are temporarily suspended, I do not know. So it is by an abuse of process that Councillor Derek ROBINSON has been denied any voice at all in the procedure under which he has been found ‘guilty’, in absentia, for a ‘non-offence’ which he did not commit. Please note that not all Councillors were present for that vote. Councillor Steve SMITH had the good sense to declare an interest and withdrew from the Chamber, as did the Town Clerk Pam DOBSON. *These two (the “Turkeys who voted for Christmas”) were duty-bound to declare an interest (personal and prejudicial, as well as pecuniary – since solicitors’ services do cost money) – as members of the HR Committee – and then withdraw from the Chamber, but did neither. So where does all this leave the four Councillors who expressed their concerns to me (and others) last autumn 2013, who have breached no confidentiality requirements but are, nevertheless, now officially ‘branded’ as being ‘guilty’ of having done so – along with the other FP&GP Committee Members who never gave so much as a thought to the consequences of the Clerk’s unauthorised activities, or certainly did not express any concerns to the Council – or to me – at the time? And where does it leave Derek ROBINSON, whose only ‘crime’ was to discuss the matter with me last November 2013, as two members of the public, free to discuss whatever we pleased – and by which time it was anyway commonly known that the Clerk was tripping the light fantastic with the Council data? Council Derek ROBINSON must feel deeply aggrieved. And Council Derek ROBINSON may feel that the Members of the HR Committee have as much to answer for as the Town Clerk. Councillor Derek ROBINSON gave formal notice that he intended to lodge Standards Complaints against Councillors Heather COUGHLAN (Mayor), Noreen WILSON, Derek COLLINS, John FREEMAN and Terry JENNISON before he took his vacation. 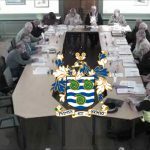 Council Derek ROBINSON may also feel that some of his fellow Members of the FP&GP are not much better – with the notable exception of the Deputy Mayor Councillor Sean RIXHAM-SMITH, who, to his lasting credit, has offered Councillor Derek ROBINSON a full and unconditional apology, in Full Council. Where does that leave the Clerk? But one Councillor (whose rehearsed witticisms form an entertaining feature of WTC Meetings) takes a very different view. 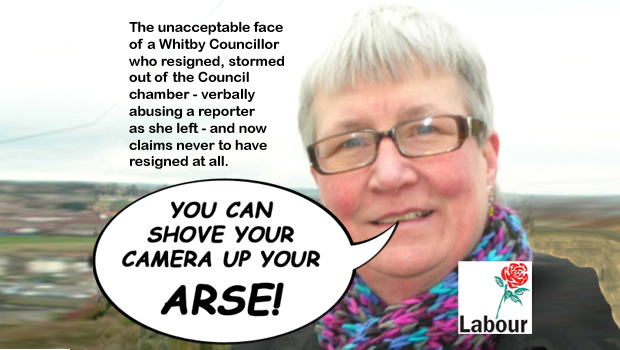 The Councillor to whom I refer has held forth, in grandiose style (replete with pregnant pauses and sweeping theatrical gestures) on the moral imperative for the “guilty” – the Whitby Four – to “fall on their swords” and resign from the Council, on grounds of their iniquitous conduct in having “betrayed” everybody connected with the Council, from the Town Clerk to the Pannett cat by . . . by . . . by doing what, exactly? 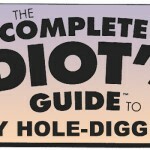 By seeking my opinion on how best to approach the delicate matter of the Clerk’s unauthorised breach of data security? Surely that must be a capital offence? I have been offered, on what I regard as impeccable authority, the information that on the morning following the FP&GP Meeting of last Tuesday 18th November 2014, one of the Members of that Committee visited the Whitby Leisure Centre for a morning constitutional swim. Further, the Member there engaged in a protracted conversation with a member of the public well known for Council commentary on social-media sites (not me), with whom the Member was delighted – gleeful, even – to share the acrimonious details of the previous evening’s FP&GP Meeting, including the commercially sensitive information that it had been Resolved to withhold part of a payment due to Whitby in Bloom in respect of five hanging-baskets, presumably in the hope that that this petty ‘victory’ would be reported to a wider public. (Such is what passes for high decisions of state at WTC – a £¼-million per annum instrument of local governance that accomplishes little more than acts of petty spite). Whitby in Bloom is chaired by Councillor Mrs Amanda SMITH, and she and her husband Councillor Steve SMITH quite properly declared an interest and withdrew from the Chamber while the Whitby in Bloom invoice was discussed. 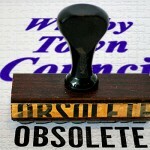 Councillor Derek ROBINSON tendered his apologies for his absence – still on vacation. These remaining Members (and the Town Clerk) must now feel that they have once again been “betrayed” by a loose-lipped ‘traitor’ – this time one of their own. 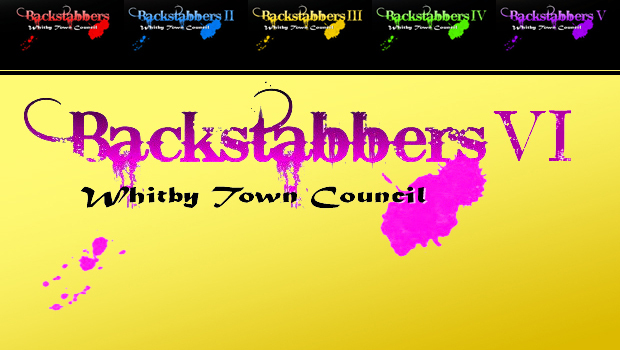 Now, attentive readers will immediately recognise that a Member ‘leaking’ the Whitby in Bloom private financial information to a member of the public bears a rather striking parallel to the case of the “Whitby Four” – the four Councillors who supposedly ‘leaked’ the Clerk’s unauthorised data transfers to me in autumn 2013. 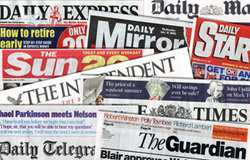 Both instances involve the disclosure of information, following discussions amongst Councillors at a public Meeting, to a private member of the public. But there is a vital distinction. There is no public interest whatsoever in indulging in a self-satisfied gloat about having inflicted a mild inconvenience on Whitby in Bloom over five hanging-baskets. Contrariwise, there is a manifest and significant public interest in airing concerns regarding the security of Council data – data which may include the protected personal data of any one of us. Readers will note that I have been careful to avoid identifying this arch hypocrite by name, or even gender. The Councillor concerned has been angrily challenging the “Whitby Four” to own up and resign over a ‘non-offence’. Will the Councillor concerned now apply the same standard of moral rigour regarding a genuine infraction of his/her own? So I present you with your sword, Councillor? You know how to fall, don’t you? Time to give peace a chance. The level of mutual mistrust at WTC is staggering; some Councillors vote against Motions brought by hated enemies regardless of their obvious merit and regardless of any thought whatever for what might most closely reflect the wishes of the electorate. This is not decision-making; it is petty point-scoring. It is infantile. It is pointless. It is, quite frankly, contemptible. And it costs the electorate a £¼-million per annum. 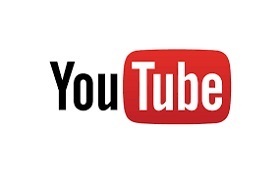 Contrary to the Council’s own Resolution to film and archive its Meetings, the public remains reliant on the Clerk’s Minutes of Meetings, which are minimalist to the point of total opacity. And yet filming/recording Meetings would have prevented this farcical marathon of “He said, she said; oh, no, you didn’t” from ever taking place. 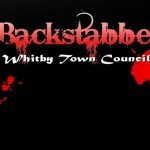 Whitby Town (Parish) Council is relieving local tax-payers of approaching £¼-million every year. For what? 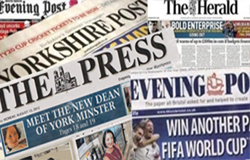 For the pleasure of reading all about it in the Whitby Gazette? We do not even have that. The Council is a closed shop and behind its closed doors are two classes of public servant; one that favours openness and transparency, and another that promotes only secrecy, petty back-biting and rank bloody-mindedness. It is all very well to suggest that the public may find its remedy at the next election – but that is not true. 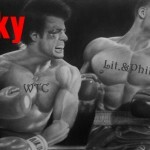 The truth is that worst of the WTC Councillors have never been elected. They owe their seats to the totally anti-democratic crony co-option system that has allowed five years of Mayors who have never picked up a single vote between them. One would hope that the Scarborough Borough Council Monitoring Officer Lisa DIXON might now intercede to prevent WTC from imploding, by imposing rigorous training on Councillors who do not grasp the requirements of office. 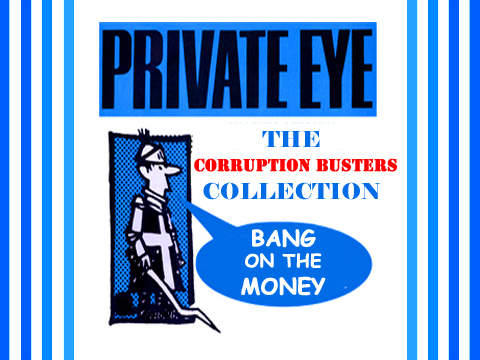 As runner-up for the Private Eye ‘Rotten Borough’ “Legal Bullies of the Year Award 2013”, Lisa DIXON is well-placed to advise on institutional bullying, intimidation and insulting behaviour. 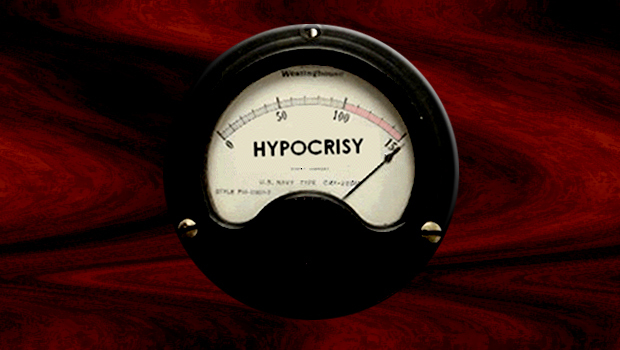 Several (perhaps half; perhaps more) of the present Councillors stand in breach of a number of articles of the Councillors’ Code of Conduct; breaches that go beyond mere disrespect into the realms of undisguised contempt – Lisa DIXON’s specialist field. Do your job; deal with it.